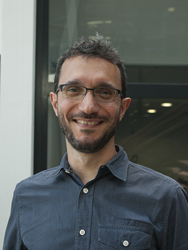 Paolo Papotti got his Ph.D. degree from the University of Roma Tre (Italy) in 2007 and is an assistant professor (MdC) in the Data Science department at EURECOM (France) since 2017. Before joining EURECOM, he has been a scientist in the data analytics group at QCRI (Qatar) and an assistant professor at Arizona State University (USA). His research focuses on the broad area of scalable data management, with a focus on data integration and cleaning. 1/2019 - Our paper on data transformation reuse (in collaboration with Banca d'Italia and Roma Tre University) has been accepted for publication in PVLDB. 12/2018 - Online the website for the upcoming workshop ``International Workshop on Misinformation, Computational Fact-Checking and Credible Web'', Deadline Feb 1st 2019. 9/2018 - Distinguished reviewer award at VLDB 2018. 7/2018 - ANR-JCJC Grant Award: "Effective Inference of Cleaning Programs from Data Annotations". 6/2018 - Granted a Futur & Ruptures thèses d'excellence: "AutoClean: Automatic Methods for Data Cleaning". PC Member: SIGMOD 2020, PVLDB 2020, SIGMOD 2019 (core), PVLDB 2019, ICDE 2019, SEBD 2019, BDA 2019, TrueFact 2019. Robust Discovery of Positive and Negative Rules in Knowledge-Bases. Interactive and Deterministic Data Cleaning. Detecting Data Errors: Where are we and what needs to be done?. F. Geerts, G. Mecca, P. Papotti, D. Santoro. P. Atzeni, L. Bellomarini, P. Papotti, R. Torlone. Meta-Mappings for Schema Mapping Reuse. B. Marnette, G. Mecca, P. Papotti. Scalable Data Exchange with Functional Dependencies. G. Mecca, P. Papotti, S. Raunich. M.A. Hernandez, P. Papotti, W.C. Tan. Data Exchange with Data-Metadata Translations. A. Raffio, D. Braga, S.Ceri, P. Papotti, M.A. Hernandez. A. Fuxman, M.A.Hernandez, H.Ho, R.J. Miller, P. Papotti, L.Popa. Nested Mappings: Schema Mapping Reloaded. M. Bronzi, V. Crescenzi, P. Merialdo, P. Papotti. Extraction and Integration of Partially Overlapping Web Sources. Probabilistic Models to Reconcile Complex Data from Inaccurate Data Sources. P. Papotti and R. Torlone. Schema exchange: Generic mappings for transforming data and metadata. Automatic Generation of Model Translations. Everything should be made as simple as possible; but no simpler. I published some books and took some pictures.